April CDAs are History – Bring on May’s New Theme! 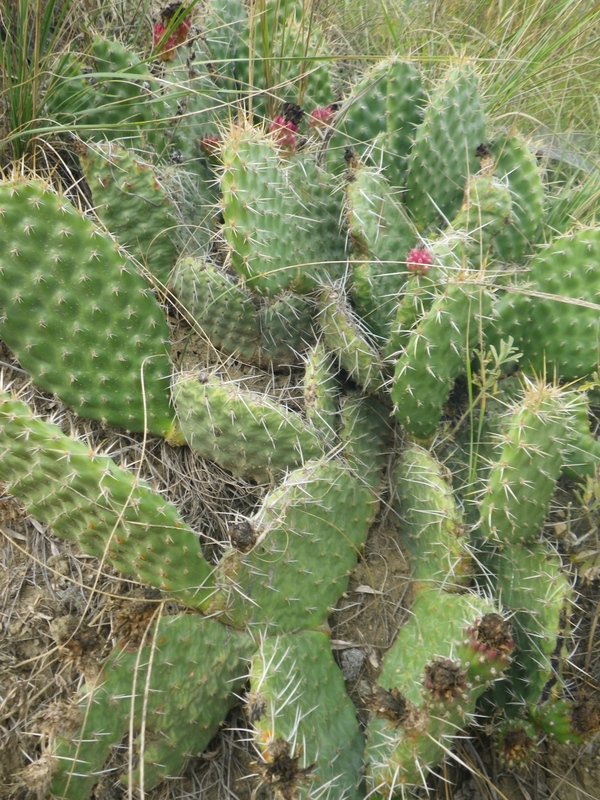 I am a little behind with taking images of my April CDAs, so I thought I would share an image of the cactus that will soon be found in our neighborhood. No, it is not the inspiration I chose for my CDAs for the them “Green.” Let it suffice to say that I was focusing on mixed media, an old book and collage… Images will be posted here and on the Flickr group shortly! The theme for May? I can hear you all ask now… The theme for May is IMAGINE. Can’t wait to see where it takes you all. New to the blog and the term CDA? The rules are simple: Anyone may participate. A CDA is a “Creative Daily Act”, a small piece of art (2.5 x 3.5″) and any medium is welcome. Participants have the opportunity to either post on their own blogs/websites and leave a link in the comment section of this blog or upload their images to the CDA Flickr site. To join the site send me an email and I will send out an invitation. Email me if you have more questions or ask in the comment section below. Back to May’s theme: Here is was I have been imagining for some time… the crocus are finally out. The snow from Monday and Tuesday has melted and the soft purple flowers are dotting the landscape. This image was captured yesterday afternoon with the cold wind blowing up from the ice covered lake. Spring is here and with the perfect complementary color scheme! 01 May	This entry was published on May 1, 2014 at 5:30 am. 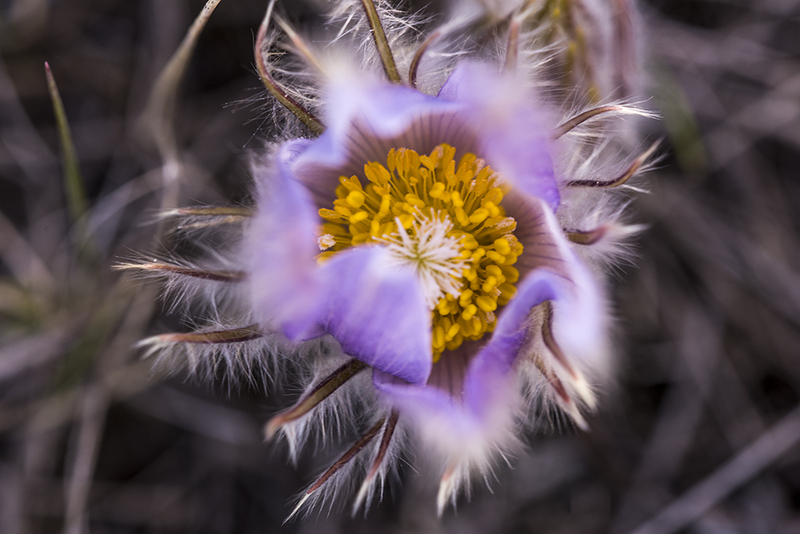 It’s filed under Creative Daily Act Challenge 2014, Creativity Update, Journaling, Nature photography, Nature's Art and tagged CDA theme for May, complementaty color scheme, Creative Daily Act, macro photography, Photography, prairie crocus, prickly pear cactus. Bookmark the permalink. Follow any comments here with the RSS feed for this post. April has been a washout for me and my CDA’s……yet I loved the theme of Green….and had a great start using needle felting as my technique. Time will tell if I catch up enough to post, or if I will simply start fresh with your wonderful theme for May…..Imagine! Vivian, the idea is that whether you make one or 5 or all 30 CDAs – it’s never a waste of time or energy. Upload what you have created. I am sure that I will not be a prolific once I start traveling and teaching… which is here sooner than I think. Yikes! It was show and tell at stitching today. After much thought I decided to share my CDA’s to this point. Most common comment, ” crazy lady”. Raining out, so time to plan May although a sciatic nerve pain is keeping me from sitting, standing or thinking. I admire your perseverance, Katina. Well done! Oh, am I relieved to see your post this morning. Due to hours and hours going to the preparation of the Focus on Fibre Art Show “Prairies” beginning this Sunday my April CDA’S aren’t finished either. They have been an oasis of calm in the midst of all the preparation. So coming soon to my blog and Flickr. The crocus is a wonderful sight to see. As a Saskatchewan girl that is for me the true harbringer of spring. I would love some wild crocuses for my garden. Stop and take a breath, Elinor. You will catch up! My CDAs are finished – I am just behind with the photography of them. Too many other deadlines this week and getting sick last week put a halt to many activities. Hopefully I can catch up by the end of the weekend.